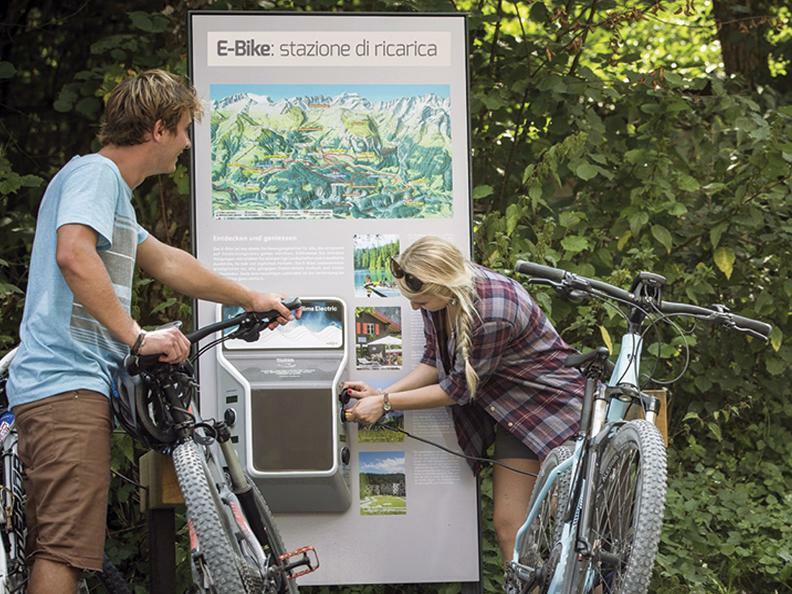 Every recharging station on the “e-bike routes” can be used to quickly recharge up to four e-bikes at the same time. Recharging is free and can be carried out whatever the weather. You don’t need your own transformer. Each station shows where you can ask for adaptors (in the immediate vicinity) to connect all battery types.